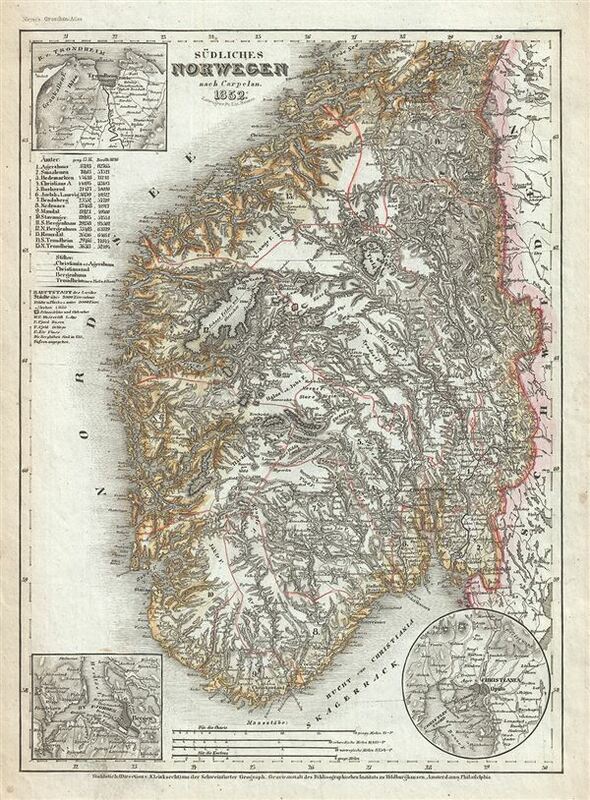 This is a scarce 1852 map of southern Norway by Joseph Meyer. It covers Norway from Levanger in Nord-Trondelag south to the North Sea and east as far as Sweden. Three inset maps of Trondheim, Bergen and Oslo (Christiania). The map is extraordinarily detailed and notes numerous cities, towns, islands, fjords and various other topographical features. It depicts the southern region of Norway in the midst of a prolonged period of peace and prosperity.